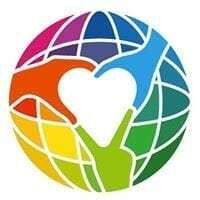 Human Connection is recognized as a non-profit organization because of its promotion of international sentiments, tolerance in all areas of culture and international understanding. Frequently asked questions can be found in our FAQ or simply ask us directly in our public live meetings. If you don’t like it, we will refund up to three monthly donations – without any ifs or buts! Please note: The cancellation can take up to 5 working days. To get an overview about the use of the donations, please have a look at our transparency report. As a donor, you will receive an invitation code from us to gain access to the non-public Alpha trial version. Please note that at the moment it should not be seen as a complete replacement for your current social network, but as a development platform. Be our guest and supporter and accompany us on our way to bring Human Connection with all its basic functions to the start! A small preview of the trial version – there is much to discover! Human Connection is what you make of it – with us and for ALL! According to the promotion of international sentiment, the tolerance in all areas of culture, and the understanding of international understanding (§ 52 paragraph 2 sentence 1 No. 13 AO) after the exemption decision of the tax office Nürtingen StNr 69042/06453 from July 31, 2015 for the tax period 2013 according to § 5 paragraph 1 no. 9 of the Corporation Tax Act, we are exempted from corporation tax and according to § 3 no. 6 of the Trade Tax Act from business tax.